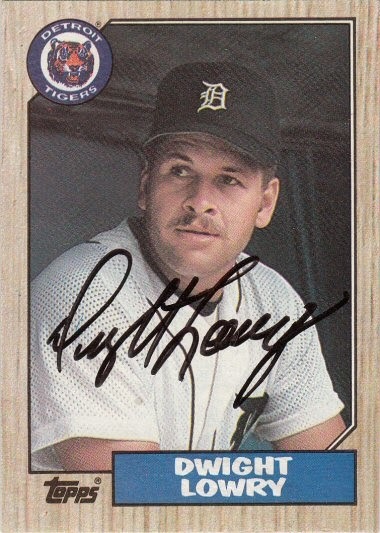 I met him at a Florida Instructional League game at Englebert Complex in Dunedin, Florida in 1995, when the Detroit Tigers, whom he was coaching, came to play the Toronto Blue Jays. Sadly, he was the first person I had an autograph of to pass away. Less than 2 years after signing this card for me, he unfortunately suffered a fatal heart attack at the age of 39. Dwight signed a 1987 Topps card #483.